In 1861, the main Confederate port was Portsmouth, home of the Gosport Navy Yard. The CSS Virginia was constructed there from the sunken remains of the USS Merrimack. It was intended to keep the James River under Confederate control. At the start of the 1862 Peninsula Campaign, the "battle of the ironclads" revealed that the Confederate Navy could no longer block the Union Navy from travel in Hampton Roads. The CSS Virginia sought to escape upstream, but the heavy ironclad required deeper water to maneuver. 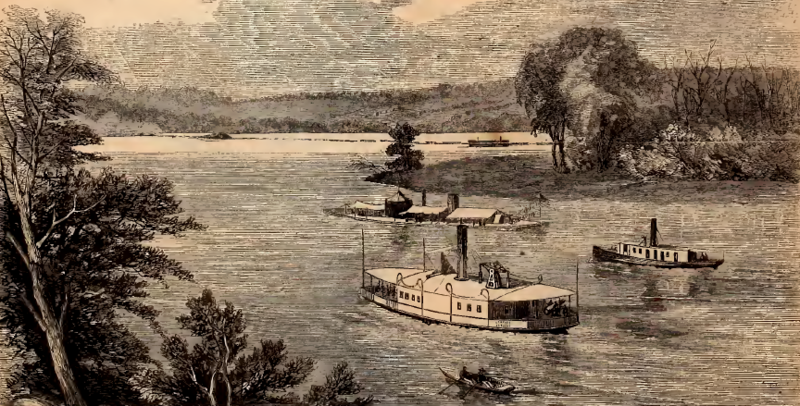 The Confederates destroyed their first ironclad and withdrew upstream to Drewry's Bluff. Between 1862-1864 the navy also constructed three ironclads (CSS Richmond, CSS Virginia II, and CSS Fredericksburg) at the Confederate Navy Yards, at Rocketts Landing and at Manchester on the south bank of the James River. The ironclads enhanced the defense against any possible water-based attack on Richmond by Union forces. 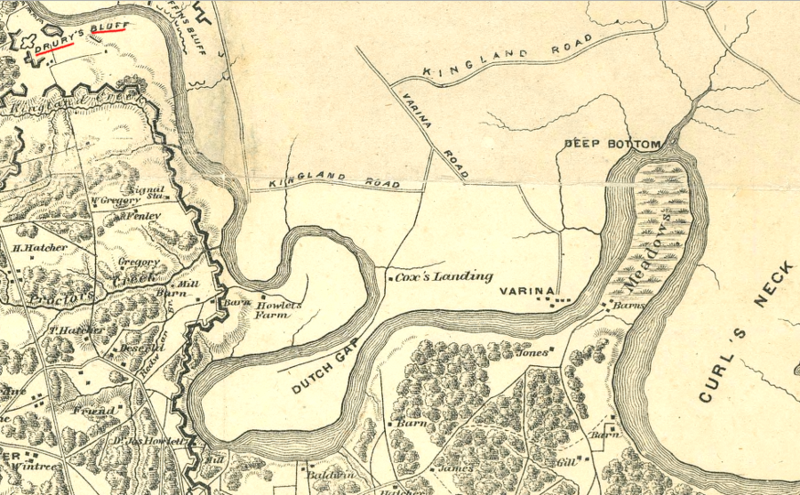 In 1864, Union forces tried to dig a canal through the bend in the James River at Dutch Gap. 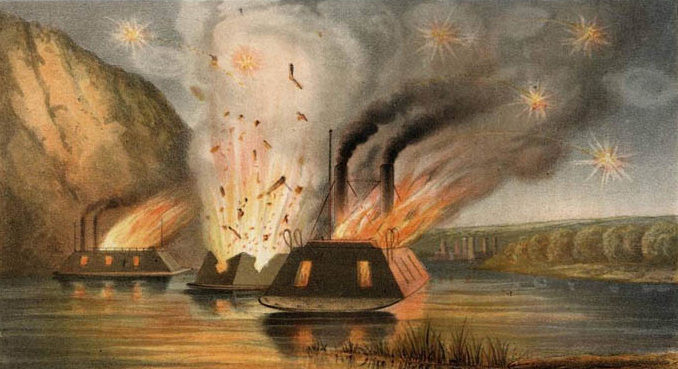 The plan was to bypass Confederate fortifications such as Battery Dantzler so Union ships could steam upriver, then shell or capture Richmond. 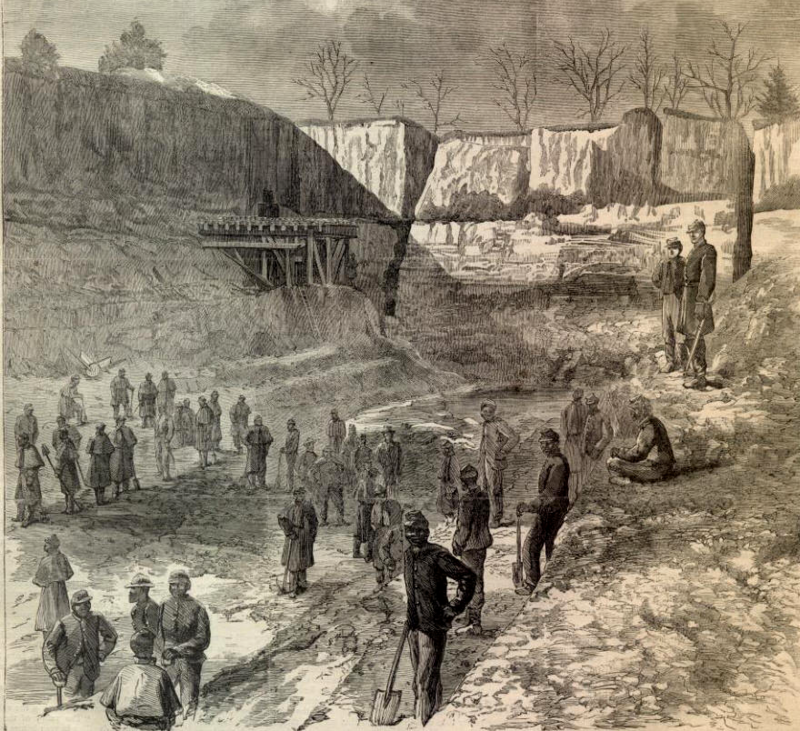 US Colored Troops and a steam dredge did most of the digging, while Confederates fired mortar shells to disrupt the project. By January, 1865, a ditch had been excavated across the narrow neck of land, with just one remaining barrier on the upstream end. 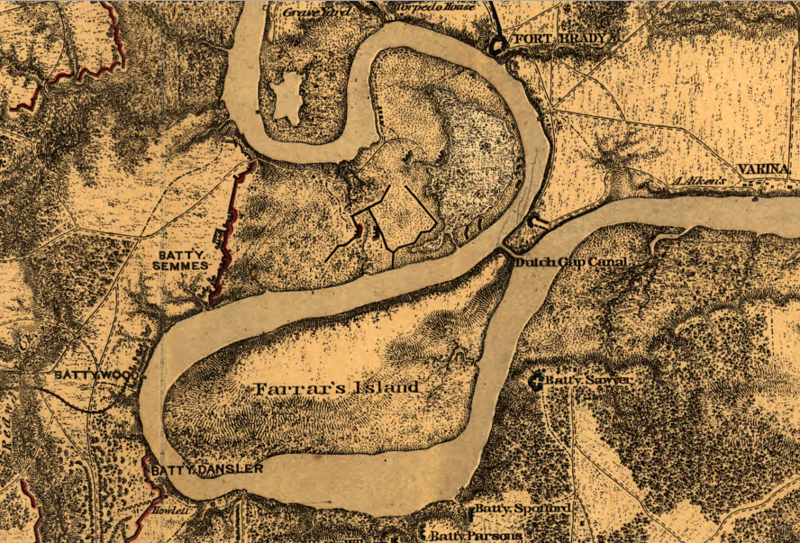 The canal construction may have destroyed the site of Henricus, established in 1611 by Sir Thomas Dale to replace Jamestown. 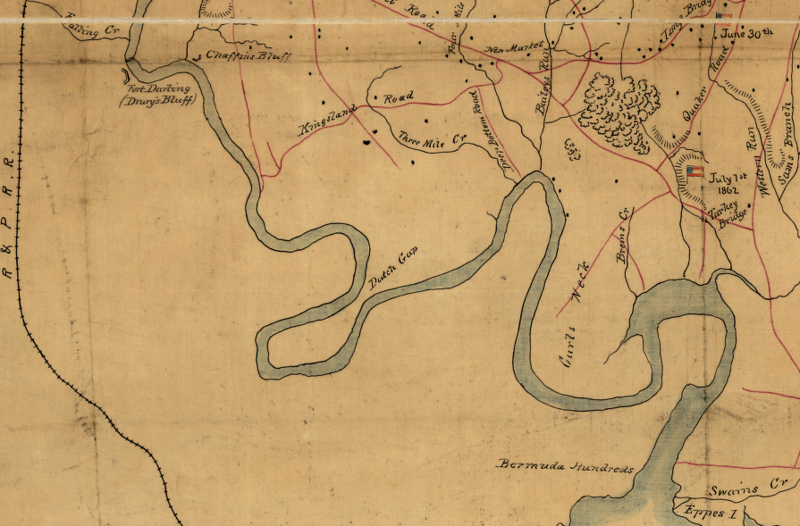 Soon after the canal project stopped, Confederates sought to move downstream. Winter floods disrupted the Union obstructions at Trent's Reach, and the downriver Confederates offensive started on January 23, 1865. The goal was to destroy the supplies at City Point, disrupting the siege of Petersburg. The CSS Fredericksburg made it through the Union blockade, but returned to assist the CSS Richmond and CSS Virginia II after they ran aground. The primary Federal warship to block the attack was the USS Onondaga, and it fled downstream. After General Grant learned of the threat, he sent more Federal ships upstream. The CSS Drewry was sunk, the Confederates withdrew, and a second attempt on January 24 was also blocked.